This guide is intended to help welcome new students to UBC from out of town. We hope to cover (1) Food on campus (2) Cool things to do (3) Interesting knowledge about UBC. Basically what makes this such an awesome campus to spend four years of your life; a bit bias, but we’d say the best in Canada. The writing will be written as a list format towards UBC new (and much beloved) president Santa J. Ono since it’s not every day you have the opportunity to welcome a school dean to his own campus. 😉 I’m sure in a few months, he’ll know all the symphony orchestra events, construction detours, and concerns. UBC Food Services – UBC Food Services is a common sight on campus. They run cafes in about every faculty during the normal school year. Pre-loading your UBC card (which also serves as an after-hours access card for your faculty building among other things) provides a 5% discount on food purchases. Place Vanier Highlighted in red on the map. Totem Park Highlighted in red on the map. Vanier Dining Room– It’s a first year residence cafeteria attached on the second floor of Place Vanier’s common block. This UBC food services venue has delicious wraps (better than Totem Park – the Vanier Dining Room has a salmon option which Totem dining room doesn’t carry. Got to have your Omega-3 during exams and blueberries! ), burgers station, and the Asian feature station. (While the Vanier Dining Room is operated by UBC Food Services just like Totem Park, it appears the two cafeteria are still distinctly different varying in service and food quality). Totem Park also has a late-night burger eatery, part of the Magda’s convenience store at Totem Park. Vanier also has it’s own late-night Hubburd’s convenience store without an attached grill. Generally, it’s better to order pizza from Domino’s if you’re eating late on campus so Vanier isn’t losing out with late-night food options. Domino’s on Dunbar closes at 3 AM daily and you can use your UBC card to pay (Flex Dollars). Students also frequently visit the 24 hours Macdonalds at University Village. 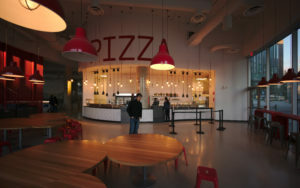 Both Vanier and Totem dining rooms feature residences’ prices and general prices (for other students without a meal plan); the food is typically still overpriced for the portion and quality. There’s also an obsession with having to dine with others; residence floors typically go to dinner together. It may feel awkward eating by yourself but sometimes it’s nice just to eat outside alone, think how far behind you are with work and enjoy the scenery. Both are still wonderful first-year residences and a great experience for first-year students. The culture is great; people are supportive and caring especially your floor mates. There are many first-year activities organized by RAs (Resident Advisers – they’re paid too little for the things that they have to go through.) Each Common Block also has a pool or billiard table for socializing and a field for outdoor sports. Place Vanier is closer to the beaches, Math faculty, Commerce faculty, Arts faculty, Nitobe Gardens, IKB Library, Koerner, and the bus loop while Totem Park is closer to the Botanical Gardens, Thunderbird Stadium, Computer Science faculty, Engineering Faculty, Earth Sciences building, Geography faculty, and Science faculty. Tip – First year students requiring a residence meal plan may wish to choose the lowest meal plan. (2) Another factor, in your first three months at residence you’ll probably find the cafeteria pretty interesting but eventually it gets boring and you’d rather eat elsewhere on campus (which will use your “flex dollars”) or near campus. There are many diverse cuisines in Vancouver and so many delicious eateries around. Vancouver is especially popular for its fresh seafood; there are also over 600 sushi restaurants in Vancouver, here’s where you can find the best sushi in Vancouver. Popularly Tojo’s Sushi was appointed Japan Food Ambassador also supposedly accredited to first create the California roll. In summary, you will likely require more flex dollars than meal plan dollars. It’s best to have your spending in cash rather than locked to a card plan. (3) The higher your meal plan the more you pay in overhead fees. Residence life is really part of your UBC experience, it’s something that you can only get at UBC. SFU is an excellent school with good professors but it’s a commuter school primarily with less campus involvement (keeners). Tim Hortons: There are two Tim Hortons franchise ran by UBC Food Services on campus. There’s always a line up during the regular school year. You’re better off getting a coffee from one of the many UBC Food Services café if you’re in a rush. You can use your UBC Card at these two Tim Hortons. 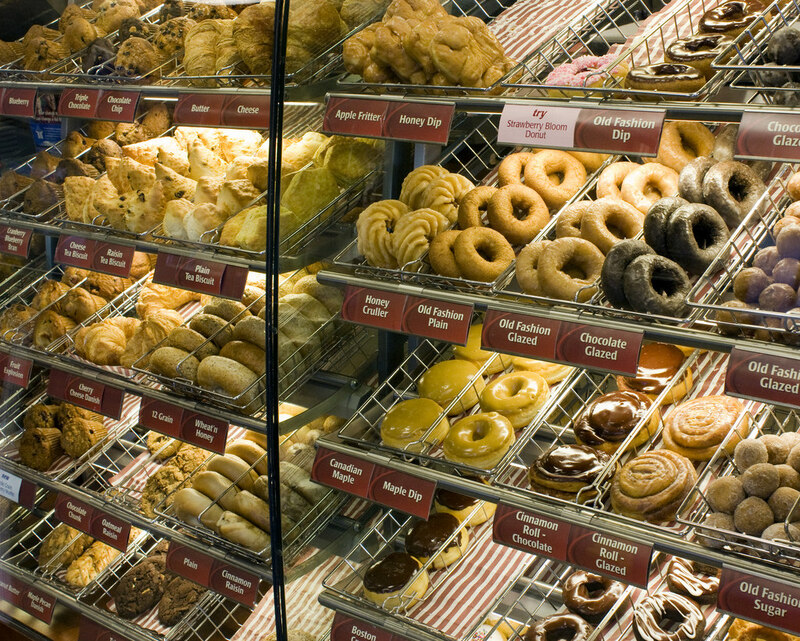 The Tim Hortons by Sauder School of Business only serves drinks and pastries. 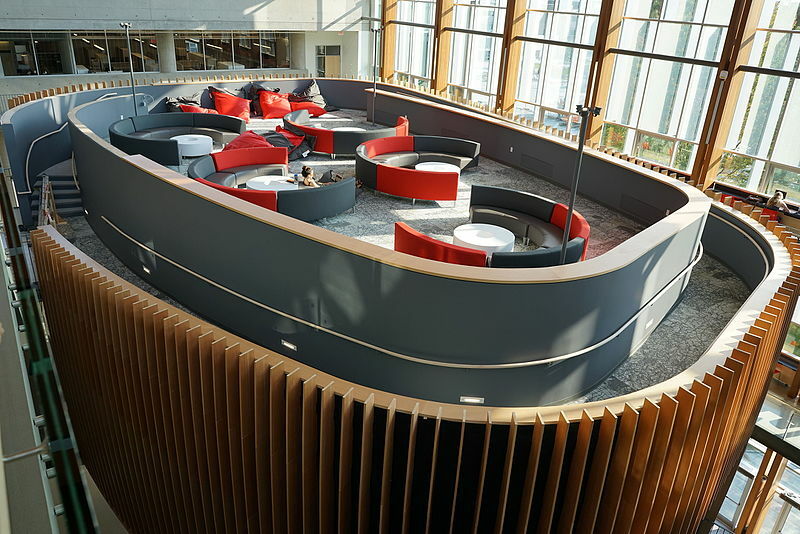 AMS Nest: UBC has a brand-new student union building that’s stunning. The Delly – The Delly is a familiar name to many UBC students. It’s a convenient option for a quick bite with their pre-made sandwiches or custom made-to-order sandwiches. They also have a variety of delicious deserts and a selection of Indian curries. Prices are very reasonable around $7 per meal (Italian Sub, Coffee, Cookie) and food quality is acceptable. They used to have a popular 50% off on Fridays in the old sub; this offer is no longer available in the Nest. Pie R 2 – Carried over from the old sub, now with a new stylish look in the Nest. It’s a frequented pizza store ran by the AMS. Pizzas are $2.94; it appears to have changed from the old recipe. Upper Case & Lower Case – Seems like the re-branding of the infamous Blue Chip cookies. Did you know, UBC tours use to give visitors a free blue chip cookie. Flip Side – Your typical burger store (very inefficiently ran by the AMS – three cooks! In the end it still seems just one person is doing the order taking and cooking.). Your standard burgers and fries. They have daily specials; try their poutine. About poutine, here are the best poutine in Vancouver. Oakwood Canadian Bistro on the list is only 20 minutes by bus (#4 or #84) from UBC. Grand Noodle Emporium – The Asian take out (“The Moon”) in the old student union building which got a make over. They now serve Asian take-out and Ramen noodle. Dine-in eating space available. Grocery Store – There’s a small Grocery Store in the SUB. They sell pre-packet raw meats in simple single-serve portions. There used to be a fancy restaurant at the Nest call “Perch” which wasn’t doing well and has since closed. Interior of the Nest. Picture from Wiki Commons. 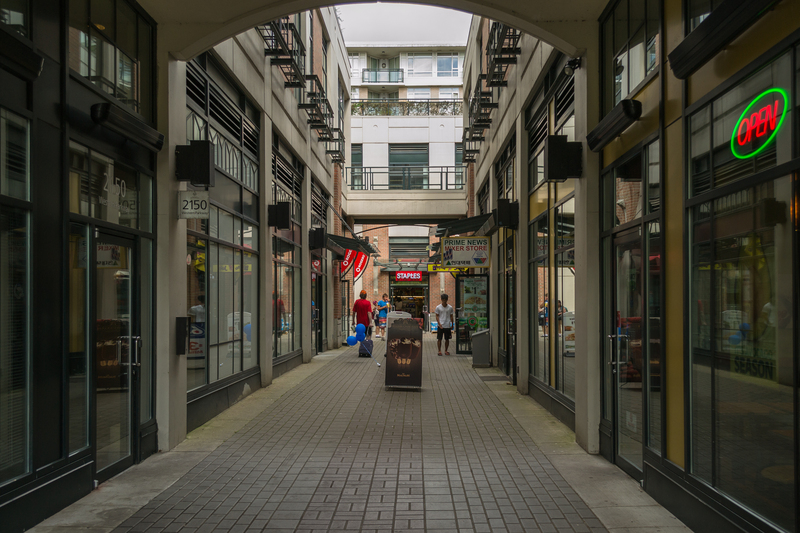 University Village: A multi-level complex very close to the bus loop with a variety of retail stores, services, and apartments. Bubble Waffle Cafe – It’s a nice and cozy Asian cafe that serves bubble tea, bubble waffles, Teppanyaki rice, and a variety of hot dishes. Pita Pit – Healthy food on the go located towards Gold Gym at University Village. You can use your UBC card here (flex dollars). Fresh Slice – Average pizza franchise. Tuesdays special $1.25/slice if I’m not wrong. (Though Pie R 2 is better – support your student run businesses. It provides jobs for students and goes back to your AMS fund.). 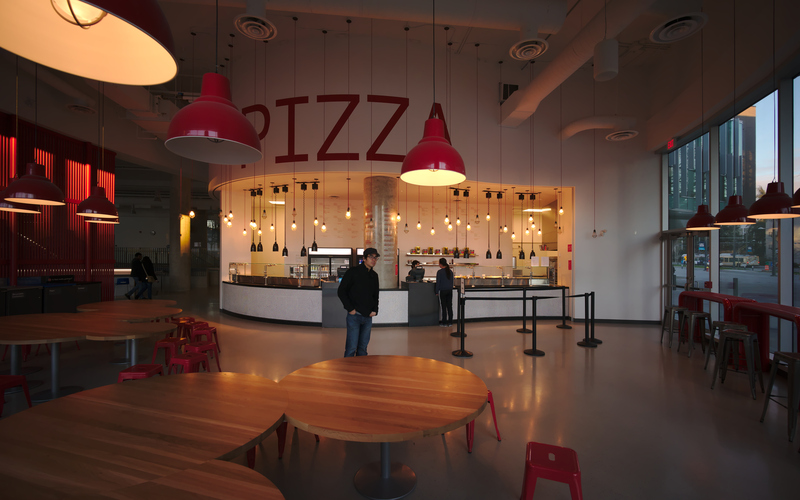 Pizza Garden – Newer pizza store at University Village. Stone oven pizza. Only U Café – A cafe serving breakfast and lunch. Quite a favourite for many UBC students but I didn’t quite understand the hype. Three more sushi stores. Suga Sushi is typically lower quality sushi but reasonably good Korean BBQ. Mio Sushi which is opposite Starbucks is Ok; they also do teriyaki on the grill. One More Sushi for dine-in sushi restaurant with passable quality. There’s too much to mention but on your way to University Village you cross by the dentistry buildings that has Shoppers Drug Mart (for your hygiene, pharmacy, and a small food grocery selection) along with Mahoney’s and Sons – a frequent spot for student and faculty celebrations. As far as grocery store goes there’s also a Granville Island Produce at University Village which also sells delicious chocolate muffins. University Village between BMO and Subways. Picture from Wiki Commons. University Village Food Court: A basement level food court with the entrance besides Bubble Waffle Cafe at University Village. My Home Cuisine & Black Pearl – As far as Chinese food is concerned, My Home Cuisine is better than Black Pearl. Both offer great value for Chinese take-out. It’s about $6 for two items and rice (regular price). A frequent special offer is $3.99 for two items and rice. In contrast, a desert at UBC residence café would already probably cost you around $3.99. It does get boring quickly though because the menu doesn’t seem to change but the food quality is acceptable. It’s fast convenience food. BBQ Roast Pork, Ginger chicken, spicy fish (really spicy), and Sweet and sour pork are some nice items. It’s even cheaper than Richmond’s Yaohan food court. Osaka Sushi – Big portions for sushi but not the best quality. Many students share they enjoy the Bento boxes here. Among other things are two donair shop, Mongolian grill, and Want Want Hot & Spicy. Overall, th University Village food court provides an ethic variety of convenience food for very good prices. Very nice village-like village on South West of UBC. Picture from Wiki Commons. 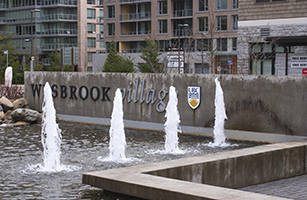 Wesbrook Village: UBC is truly a city of itself in some sense. WesBrook village is a rapidly growing community with plenty to see, eat, and do. There’s a Save on Foods (grocery store) here, Menchies frozen yogurt, Jugo Juice, Bier Craft for pub food and beer, To-go Sushi (one of the better quality sushi on campus), newly opened Roger’s Chocolates (their Gastown location is also in our Vancouver Walking Tours), Hung’s Beef noodle, and an elderly home. The BC liquor store is here as well (almost forgot to mention this). C20/C18 and 41 bus to transit there if you’re lazy to walk. Good Coffee: Coffee is part of Vancouver’s identity. UBC is fortunate that we have good coffee everywhere! The Boulevard – They are located besides Scotiabank at the Dentistry buildings and roast their own beans on site. Bean Around the World – This is a popular coffee chain which supposedly serves excellent coffee. The coffee shop is located near the Forestry faculty building by the Old Barn (Community centre). The Great Dame – This café is near the theology buildings opposite St.Andrews Residence. Coffee here is on the milder and sour side. (My opinion but real coffee should be bitter and strong.) It seems like popular cafe though. When planning to eat out, I typically look for quick convenience food with some nutritional value. The real value of eating out for me is saving valuable time. The University Village food court, along with A&W, and Pita Pit provides easy, reasonable priced, and relatively healthy food that you can grab-and-go quickly if you’re living on campus. Among the many uprising developments at the Bus Loop area…there are rumors a Chipotle store will be opening in 2016 (from UBC Confessions page). Food Deals: Here’s a re-cap of some shocking food deals that can be found on campus because who doesn’t like a good deal. What’s there to do between your spare time? 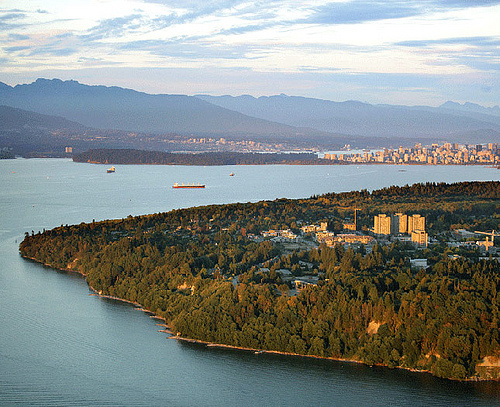 Not only is UBC the 2nd best university in Vancouver, they probably have the best campus in Canada. 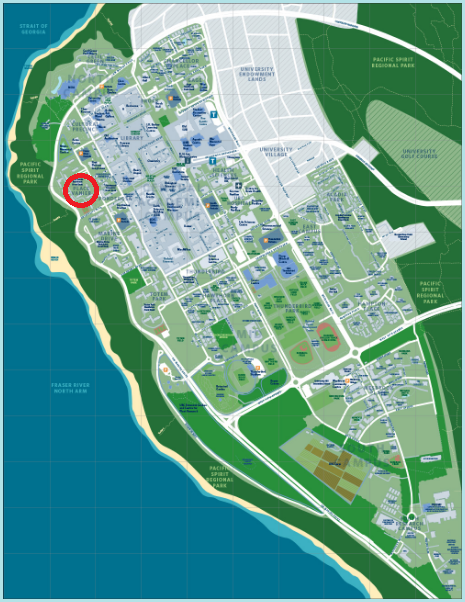 What other campus in Canada has one of the most authentic Japanese garden in North America, visited by the (now) emperor of Japan, its own golf course, and a biodiversity museum on campus with a full Blue Whale Skeleton display (it’s truly YUGE ;)), and three distinct beaches on campus. 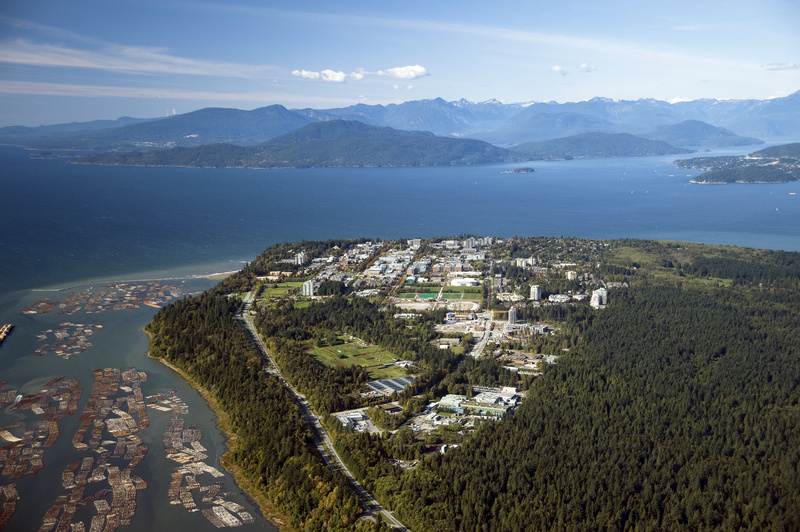 Beaches – UBC’s three beaches is a worthy mention. It’s also very near to Jericho beach (anyone a fan of sailing? There’s a sail club here) and Spanish Banks beach. (Great place to catch outdoor volleyball during summer). Between Jericho (farther from UBC) and Spanish Banks (closer to UBC, walk-able from Tower beach) is Locarno Beach (good for outdoor BBQ). Side note, the Point Grey and Kits neighborhood is also very quaint with unique shops for a nice walk reasonably close to the water. Tower Beach: An awe-inspiring, long hike down to a pebble filled beach with a historical search light tower (hence the name). Saw a few jade stones on Tower Beach, I think. 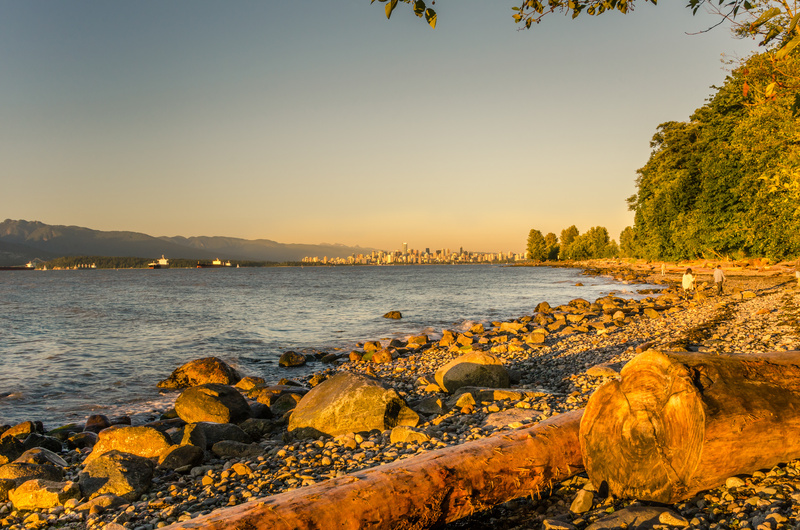 You can enjoy the beautiful sunsets, tranquil waters, and the only beach on UEL where you can view the open sea (not really open with Victoria), North Shore Mountains, and parts of Vancouver downtown together. (Excellent for panorama shots.) It is a good escape to nature. Entrance is on East Mall, walk pass the Law building on East mall towards the water and you’ll see a small entrance. Acadia Beach – Towards Spanish Banks is Acadia Beach. This is where you’ll find sandier beaches and a good swimming spot. It’s also near towards the Pacific Spirit Park trails but there’s reportedly no trails officially made for this beach. Beach in Vancouver during Sunset. Imagine enjoying this EVERYday. 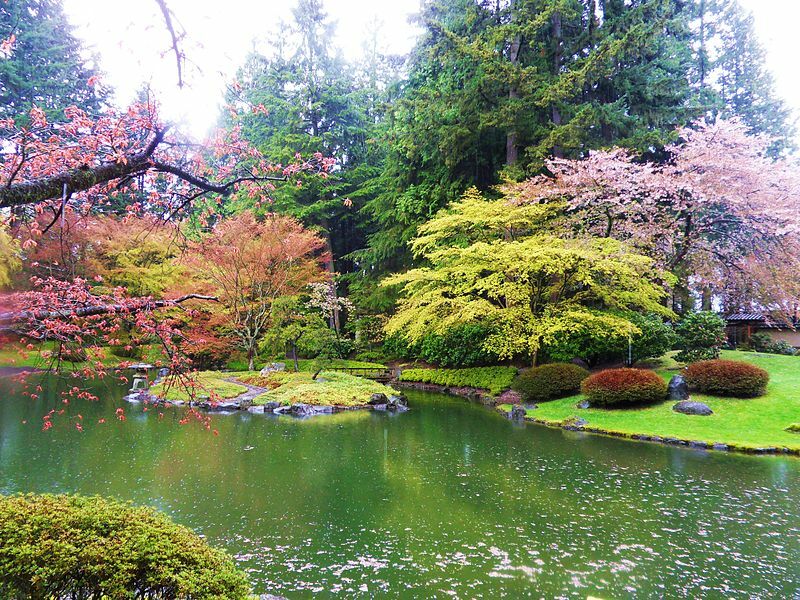 Nitobe Garden – Nitobe Gardens has quite a lot of accreditation. Among many, it’s one of the most authentic Japanese Garden. It’s near the Asian cultural centre and it’s a beautiful garden with free access for students and faculty. Nitobe Memorial Garden at UBC. Picture from Wiki Commons. Golf Course – There’s a full 18 hole golf course on the University Endowment Lands (UEL) added with a driving range for your practice. Join the UBC Golf Club and get discounts on green fees. My friend from first-year residence did it, and they had some great deals for golfers with a supportive community. 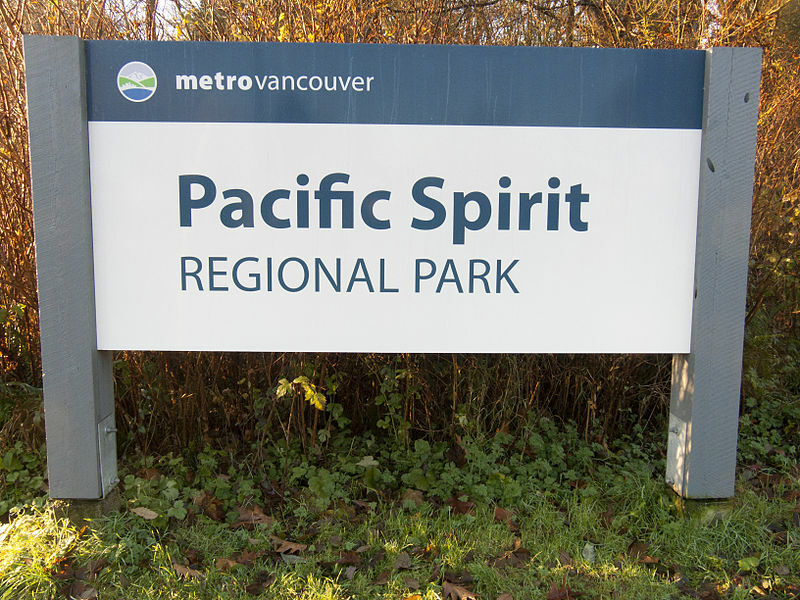 Pacific Spirit Park – Besides a golf course and great views, another thing that makes the UBC campus so awesome is a 874 hectares park with 73km of hiking trails. The park runs from south to north with the golf course and University Boulevard in the middle. It’s a favourite for joggers and outdoor enthusiasts. Park sign. Pacific Spirit Park in Vancouver, BC. UEL ecological reserve. Picture from Wiki Commons. Museums – UBC is home to the popular Museum of Anthropology and Beaty Biodiversity Museum. Both have provide free access for students so grab a friend and go for a gander. Beaty Biodiversity Museum. 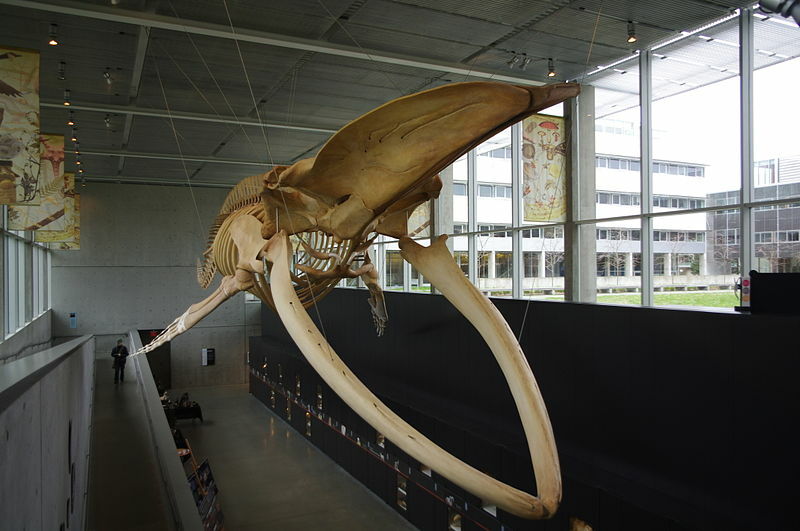 Blue Whale Skeleton display. Picture from Wiki Commons. Rose Garden – As it’s name implies. This is a rose garden. The flowers only bloom in summer primarily but it’s still a nice spot to watch the sea, mountains, and occasional ferries going by. Good spot to finish readings maybe. Find it as you walk by the Canada Flag roundabout. Some may remember when UBC had bouncy bushes (natural trampoline) unfortunately it appears to have succumb to construction and progression; there’s still an old video on Youtube for keepsake. 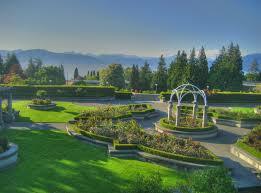 UBC also has a farm and a botanical garden. The UBC farm once again emphasizes the concept of sustainability and is the only working farm in city of Vancouver. UBC Koerner Library. Picture from Wiki Commons, photographer xicotencatl. Koerner Library: You’ll find the basement floor has copious amount of study tables and remarkably quiet. Irving K. Barber Library (IKB): The go-to library for most students. Heritage stacks are here, most books are here, and a few classes occur in the basement level. It’s quietest location if you need silence to concentrate but there are many break-out rooms you can book. Ike’s Cafe is attached to the library for your coffee runs. Concordia Library: Where you will see overly dressed Sauder students. Generally very bright (location). The top floor has great views of the flag-pole while studying which is why I liked it. Variety of group study areas and silent study area along with a few breakout rooms. Forestry Building: This is where you should visit. Very impressive wood structure inside. Each floor has two study desk at the balcony. Generally quiet, private, and great place to enjoy natural lighting while you study. Marine Drive Residence building: If you want to study and relax, go to the couches at the Marine Drive common block. Great views, nice couches, fireplace, and a good place to study. It can get noisy but it usually isn’t. Ponderosa Study Rooms: The new residences have study rooms besides the Mercante Cafe (which has good thin-crust pizzas). Beach: Catching up on text book readings? The wonderful thing about UBC is you’re just 10 minutes to the beach ON CAMPUS so go for a hike down to the beach to do your readings. (static noise of the waters can help you concentrate too). There are many other study spots, it would require a list of itself. Many faculty have rooms you can book or use when it’s not being used especially the upper levels of Sauder School or business and Buchanan buildings as well as the Computer Science faculty. There are also empty rooms typically at Forestry after hours. This segment will continue to be updated. 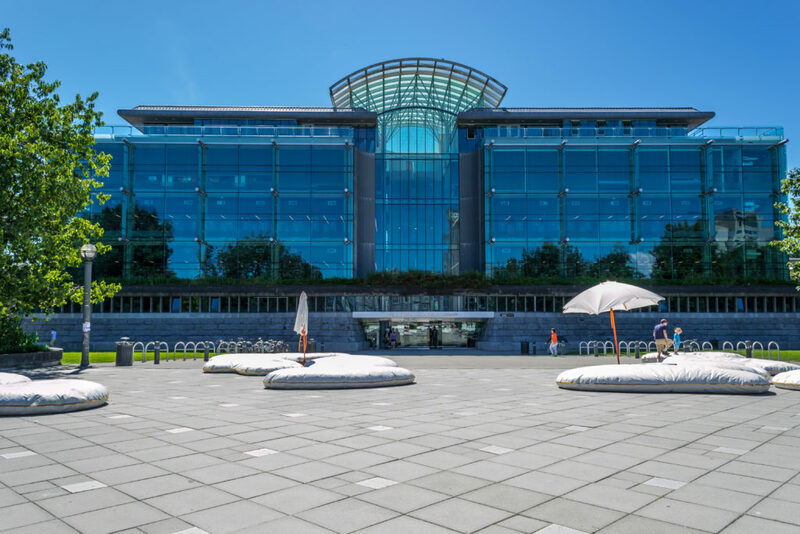 There’s so much to do at UBC; such a unique campus combining the convenience of urban living surrounded, and steeped with history (it’s on native land and was used as a fortress in World War II). Even still, peppered with culture and attractions. UBC has an impressive lip dub: https://www.youtube.com/watch?v=Dpp3quce1Vo Made five years ago. Maybe it’s time for a new lip dub seeing how much the campus has changed…with a bowtie somewhere in it? Attending UBC, you’re likely to run into various filming crews and celebrities. Taken, Fantastic Four, The Butterfly Effect, and Tomorrowland are a few films that used UBC as a set. TV shows also use UBC as a set such as Prison Break by the Chemistry building. UBC was named the “First Fair Trade University Campus” by Fair Trade Canada. The current prime minister of Canada, Justin Trudeau is an alumni of UBC. Adding to the list of two other UBC alumni John Turner and Kim Campbell who were 17th and 19th prime minster of Canada respectively. 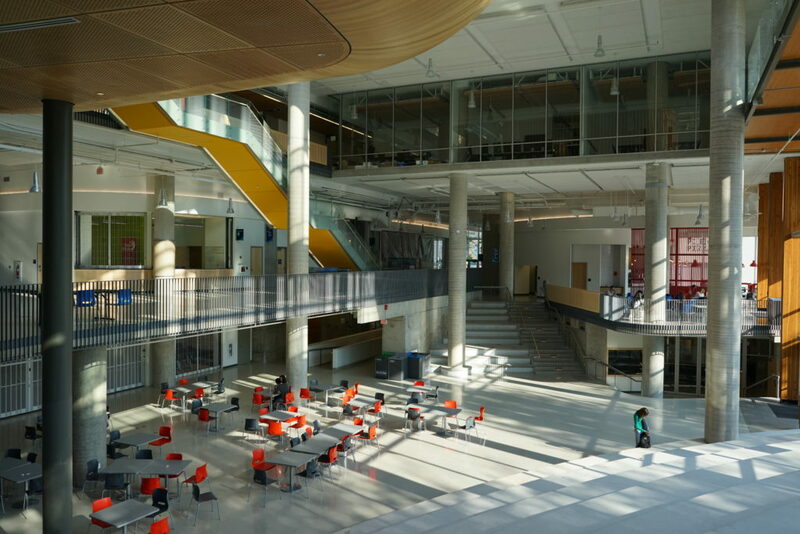 UBC epitomizes Vancouver’s green culture. UBC has a full program dedicated to this; the UBC sustainability program to educate. UBC is building a steam to hot water energy system which will supposedly reduce its carbon foot print. Hope you enjoyed VancityAsks‘ guide to UBC. UBC Aerial View. Picture from Wiki Commons. Santa J. Ono is also taking a 25% “pay cut” to accept his new position at UBC (relative to his pay at UC) of which money seems a small concern for him after turning down various raise at UC. None the less, we’re excited for UBC. [For information of significance, UBC contributes over 12 billion dollars to BC’s economy with over 560 million dollars in research funding for more than 8000 projects.” This simulates the economy in Vancouver, providing more jobs, training students to be more valuable – hopefully – members in society. I remember in my Econ 350/370 class on Canadian public finance about two years ago; we saw the significant external benefits to higher education for society and for the individuals themselves. The dollar value of social benefits to higher education out weight the cost (especially with female students). This is maybe why government subsidizes higher education and why it increases the overall marginal social benefit for doing so. While Regan is famous for pushing that “Government is not the solution, it’s the problem…” government is especially useful when there are externalities in the market. Without the subsidies, the equilibrium point chosen by an individual’s private marginal benefit to private marginal cost would be well below the socially optimal level. Without positive or negative externalities (which is rarely the case – our actions always affect others), a free market without regulation is more efficient for society – not necessary more fair. Though where externalities exist. subsidies and taxes are efficient to bring the market to a socially efficient point of equilibrium or where re-distribution for “fairness” is concerned; the measurement for an efficient point of subsides however is difficult (it’s like weighing how heavy a glass of water is with your eye). TL;DR: We should be thankful that the government pays about 50% of student tuition for residents. It’s worthwhile for government to subsidize tuition for students in hopes they’ll be more productive to society and pay more taxes to come. Still more can be done relative to the benefits of education.